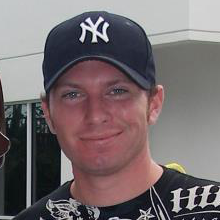 Clint created the podcast in 2004, and has been with the podcast ever since. He got his start in the amusement industry in 1999 working at Valleyfair. Since then he has explored his love of Roller Coaster. With a low coaster count in the 300’s, Clint is the kind of guy that once he find parks he likes he would rather visit them then exploring new ones. Clint is known for his trademark propeller beanie which he wears to most parks, however the beanie is not pictured. 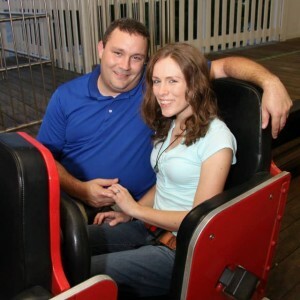 In 2012 Clint started dating the love of his life, a fellow coaster enthusiast named Shari. Originally from New York, The Legend keeps us up to date on Florida’s bustling amusement industry from his new home state. He hosted the A Walk in the Park podcast for three seasons and has been on In the Loop for 6 years. The Legend thinks otters, penguins, and kangaroos are the cutest of all animals. Drew The Intern is just that, an Intern. He enjoys all kinds of fast food but Taco Bell is by far his favorite. He first joined In The Loop in 2010 as a producer. He than quit when he discovered he would only be paid in In the Loop trading cards. Later in life 2011 to be exact, Drew discovered he lived next door to the legend. 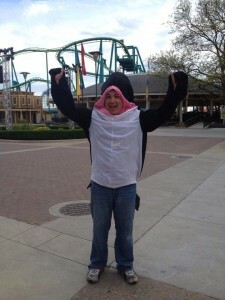 Drew joined the IAAPA dream team in 2012 and became a full time blogger at the end of 2013. Now currently Drew has had more 2015 appearances than any other host on the in the loop podcast. Someday he may no longer be an intern, but he will always have a love for zebras and Taco Bell.